peek >> << back5th Street north of L, October 2005. 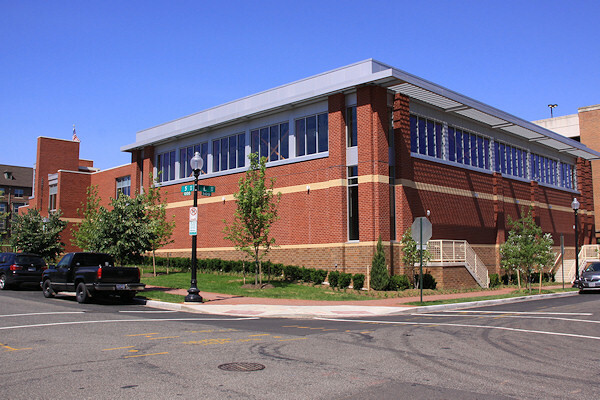 Aug. 11, 2016 - The Capper Community Center, opened, albeit without an operator just yet. Oct. 29, 2005 - The same angle from back when the old Capper Community Center was still standing. It was demolished in March 2007. 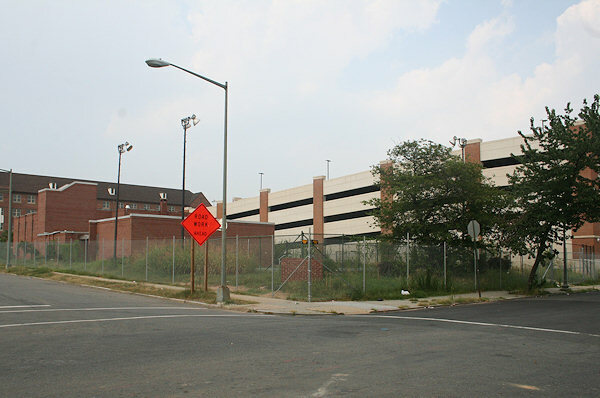 The northeast corner of 5th and L Streets, SE, with the old community center at far left in the 2006 photo, and now with construction proceeding. Aug. 11, 2016 - The northern entrance, configured to be the door to the daycare center once it is up and running, and the playground. Aug. 11, 2016 - The building's colorful main entrance. For more interior photos, see this gallery. Aug. 11, 2016 - The gymnasium. For more interior photos, see this gallery. Aug. 11, 2016 - The upper of the building's two long corridors. May 2003 - The east side of 5th Street, from L Street, in May 2003. Mar 23, 2019 - The same spot. Note also Capper Seniors #1 in the background and the Marine Bachelor Enlisted Quarters parking garage at right. March 12, 2015 - One of my favorite photos of the construction, showing the framing and trusses of the gym.